Frank helped me find this in the archives of the Nashville Tennessean newspaper. 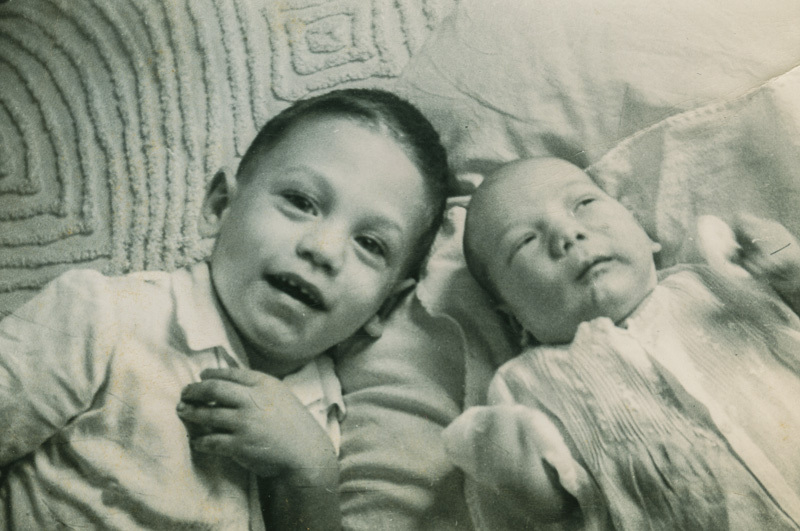 There are hundreds of mentions of Simon Ghertner – Cullom & Ghertner, many of which are advertisements. I can say with some confidence the firm started in 1906; this article is from 19 April 1908. It appears the online archives of the paper only go back as far as the fall of 1907. 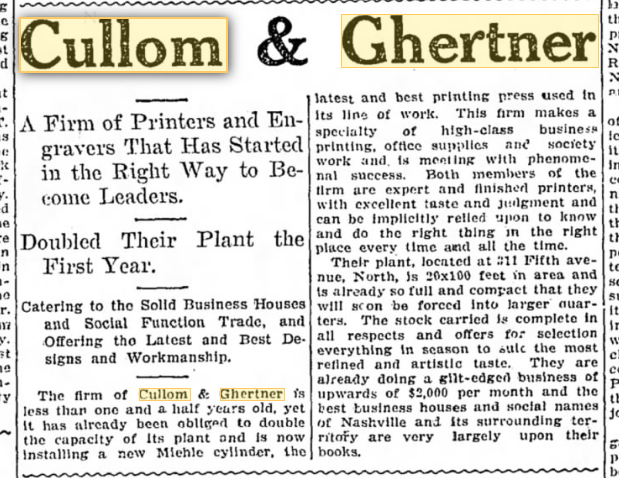 The firm of Cullom & Ghertner is less than one and a half years old, yet it has already been obliged to double the capacity if it’s plant and is now installing a new Miehle cylinder, the latest and best printing press used in it’s line of work. This entry was posted in Uncategorized and tagged Ghertner, Simon Ghertner. Bookmark the permalink.